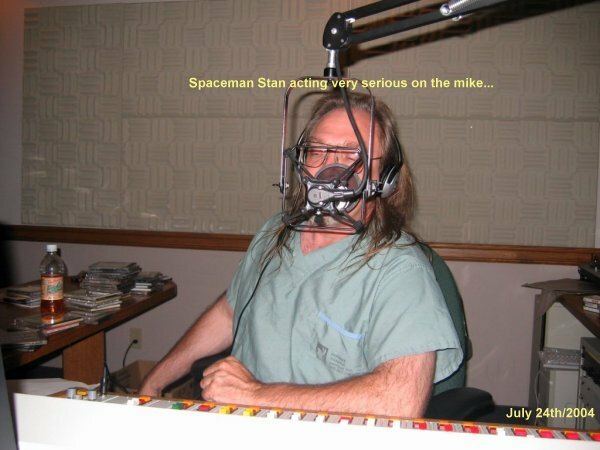 On July 24th/2004 we were invited to go into studio with Stan the Spaceman for a live broadcast for 3 hours to talk about things that go bump in the night. 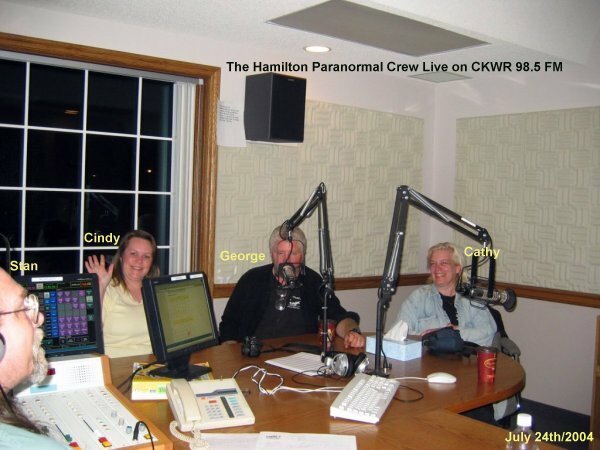 Stan and his lady love "Brenda" have been out with us in the field of paranormal investigation and have had some really good experiences with the paranormal way of things. Stan now has his own camera, well that's partly true for Brenda always hogs it, but for the most part Stan now can go into this field and enjoy the places we go. 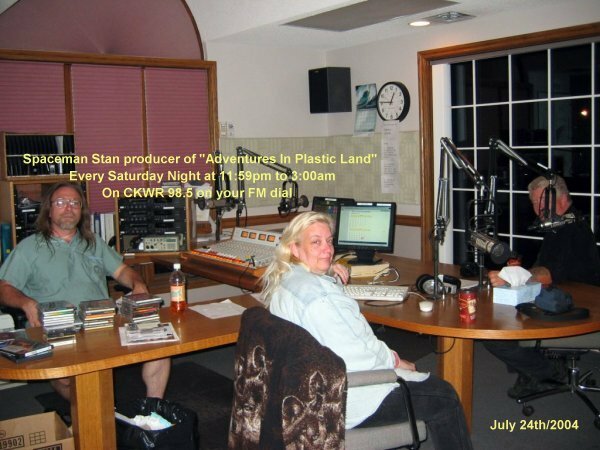 We had a great time this night with Stan and Brenda talking about all sorts of things on air. We had a few visitations while in studio with something that was unexpected. 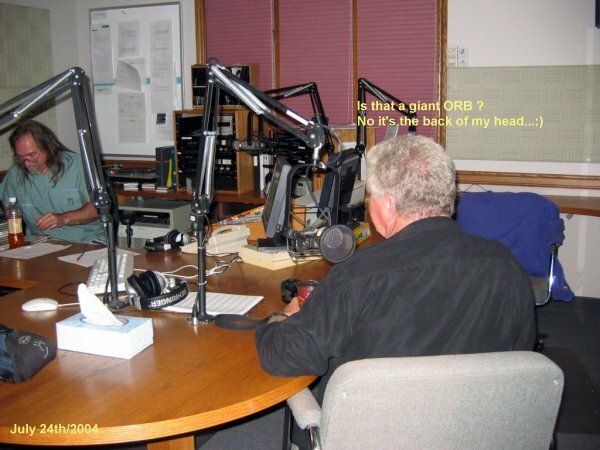 Stan was the first to notice two black orbs that flashed by, and not too long after I noticed two more black orbs within the studio. The rest of the night went very well, with Stan selecting the music to be played between stories of the paranormal. 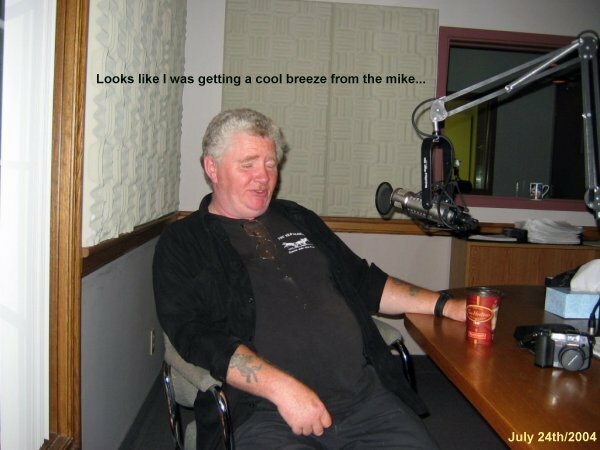 Stan has been mentioning on air, his experiences while out in the field with us. We sent out a message to everyone that lives in Cambridge to send us a story of anything that they have heard or felt that deals in the paranormal .